Pet friendly condos can be a challenge to find in Highland Beach, FL. Highland Beach is a small seaside town located in the southern part of Palm Beach County. Below is a list of current pet friendly condos available in Highland Beach. Want to learn more information on one of these Highland Beach communities? Click on the condo below to find out more about the pet friendly condos for sale in Highland Beach. 3200 South Ocean is a newly constructed luxury waterfront condominium building in Highland Beach, FL. 20 pet-friendly condos comprise 3200 South Ocean and come with two to three bedroom floor plans. Condos for sale in 3200 South Ocean range in size from 2,215 to 8,038 square feet. 45 Ocean is one of the most affordable condo communities in Highland Beach. 160 pet-friendly condos in 45 Ocean sit right along the ocean. These two bedroom condos range in size from 1,100 to 1,200 square feet. Casuarina is a luxury waterfront condo building that is also pet-friendly. 54 condos in Casuarina sit between the Intracoastal and the Atlantic Ocean in Highland Beach, FL. These two to three bedroom condos are sized between 1,500 and 2,500 square feet. Highland Beach Club is a resort-style condo building in the southern part of Palm Beach County. 200 units offer pet-friendly housing along the waterfront in Highland Beach, FL. Condos in Highland Beach Club have two to three bedrooms and range in size between 1,400 and 1,500 square feet. Ocean Terrace is an upscale high-rise condo building that stands above the beautiful Atlantic Ocean. 43 pet-friendly condos, sized between 1,800 to 3,000 square feet, comprise Ocean Terrace. Enjoy resort-style amenities with your furry friend by your side. Parker Highland is a luxury waterfront condo building in Highland Beach, FL. Condos for sale in Parker Highland range in size from 2,000 to 4,500 square feet. These pet-friendly condos sit right along the sandy beach where you can soak up the Florida sun year-round. Toscana is a gated condominium community sitting right on the water in Highland Beach, FL. 421 luxury condos are pet-friendly for new residents with furry friends. Condos for sale in Toscana have two to five bedrooms and range in size between 2,000 and 5,000 square feet. 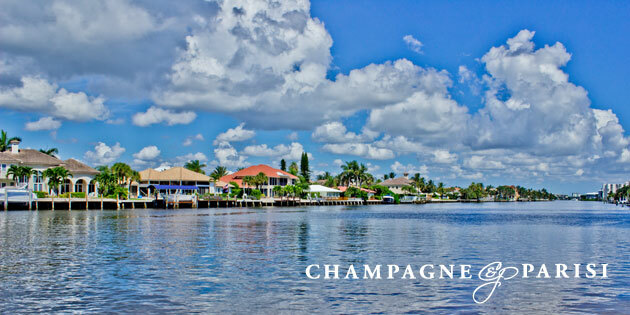 Trafalgar is an exclusive waterfront condo building located in the Southern part of Palm Beach County. 56 luxury units comprise the Trafalgar community and have two to four bedrooms. These Highland Beach pet-friendly condos range in size from 1,500 to over 3,000 square feet. Villa Costa is a luxury condominium community in Highland Beach, FL. 36 pet-friendly condos comprise Villa Costa and come with two to four bedrooms. These private condos range in size from 1,600 to just under 6,000 square feet. Villa Mare is an oceanfront luxury condo building that sits between the Intracoastal Waterway and the Atlantic Ocean. 31 Highland Beach pet-friendly condos comprise the Villa Mare building. Condos for sale in Villa Mare have three bedrooms and range in size from 2,500 to 3,200 square feet.